For Landing Real Estate based in Portland, it’s all about the people and getting them into their dream home or selling their home so they can move on with their lives. Co-owners Lisa and Matt DiBiase started the company in January 2012. In the small amount of time, they have taken on three new agents, Mike Joyce, Craig Candage and Katie Else. Lisa and Matt have been in real estate since the early 2000s. Lisa started before Matt in Laguna Beach, California. She brings the west coast marketing, professionalism and guidance to Maine. It was different when she first moved here. “The experience of basements, California is on slabs,” she said with a laugh. “We seized the opportunity to set up our own company, make all the decisions and marketing. We’re extremely grateful and happy,” Lisa said. The different mindset and a higher level of expectation is what Maine home buyers and sellers can expect when they work with Landing Real Estate. The expectations for a seller is the same, sell my property or for a buyer, put me in the right house for the right price. That’s what they can do for their clients. “We have four under contract right now. Being able to see an agent use the tools – watch them succeed, it’s pride, that proud parent type feeling. “There’s an office synergy that screams success. Matt and myself are so driven that it comes from the top down,” Lisa said. Landing has started to see repeat business. They help clients into their first homes, then when they are ready to move up because they are now married and have children, Landing as had the opportunity to put them in a new home, again. “We watch our customers grow in life,” Lisa said. Landing Real Estate works primarily in the Greater Portland area, but at times travels to clients in Auburn, Raymond and beyond. Matt describes everyone at Landing Real Estate as innovative, young and technology savvy. “We are proactive and all of our agents are hungry to succeed,” Matt said. From the advertising they do, to the post cards and direct mail they use, they are always trying to stand out. The sage green color of their signs is unique. Justin Levesque was pivotal in the website design and branding as a company, said Lisa. Landing Real Estate wants to be recognizable. Landing also posts pictures of their clients in front of their new homes and they are given a T-shirt that says “homeowner” on it. 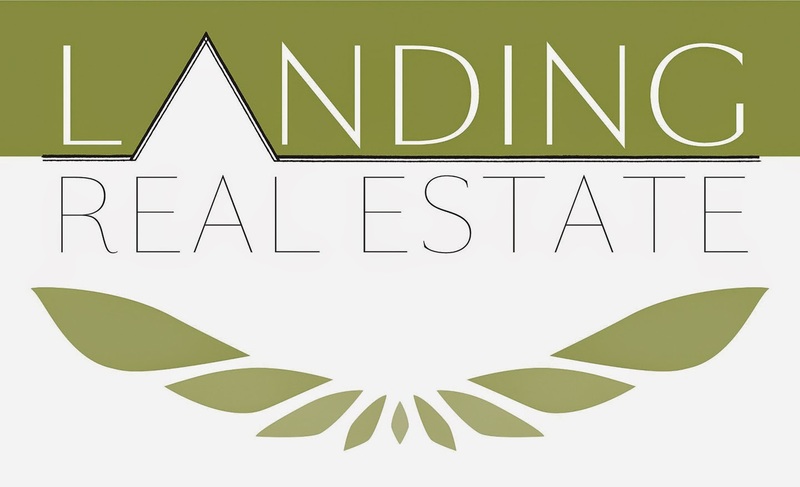 Landing Real Estate is interested in taking on new realtors for their team. New or been in the business, Lisa and Matt with go over what they can provide for new realtors in the industry. “Sometimes to be recognizable you have to do things a little different,” Matt said. For more information on Landing Real Estate, visit www.landinghomesmaine.com, email info@landinghomesmaine.com or call 775-7653.